WELCH CURRICULUM NIGHT… Welch’s curriculum night will be held Wednesday, September 12th, for all grade levels.This evening is designed to allow parents the opportunity to better get to know their child’s teacher and hear about the curriculum designed for their child’s grade level. Each grade level has two identical sessions from which to choose. Please note that this evening is for PARENTS ONLY. Welch students and siblings are not invited to this important night for parents as we will not have any supervision for them. Thank you. Looking forward to seeing everyone! IPEF KIDS MARATHON… Want a great way to get your children ready for their school PTA’s fall fun runs and to encourage healthy activity for a good cause? Register them to participate as a charity hero with Team IPEF in the Naperville Kids Marathon. Students ages 5-13 commit to running 25 miles (one mile at a time) until October 19 and track their miles. On Saturday, October 20, they run the final 1.2 miles at Naperville North High School on a portion of the course used by Team IPEF runners in the Naperville Half Marathon. the following day. All participants receive a Team IPEF shirt, race shirt and finisher medal. Register online at IPEF and select the school your child will represent. Cost is $44 and includes race registration and a $26 tax deductible donation. This year, IPEF is proud to partner with Mathnasium who will award $1,000 to the school with the most kids registered. Welch is currently at 4 runners, and Longwood has 36! 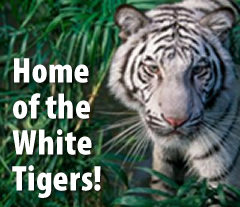 Let’s see if we can sign up some more White Tigers for this FUN run! AIMSweb… In September, January and May, Indian Prairie Community Unit School District 204 will administer aimswebPlus benchmark assessments to students in kindergarten through eighth grade. These brief Illinois Learning Standards aligned assessments evaluate student academic performance and growth in the areas of reading and mathematics. Students will be testing this week and next week. Please see attached letters for more information and contact your student’s teacher with any questions.